The Cycle Club at my gym did a two our spin ride this morning. With the time change, I was a little nervous about a 9:30 class, but I set my alarm and got to class early for a good bike. Today’s ride was steady-state intervals. For those who aren’t familiar, this is interval training, but for longer periods of time. We started with a 12 minute ON interval and 6 minute recovery and worked our way through 8 intervals decreasing by 1 minute each time. It is brutal workout, but an amazing fat burner and endurance boost. Although I didn’t have my heart rate monitor (it is in the mail from Polar after a tune up), I know the ride was successful. I felt strong and motivated and was absolutely covered in sweat. I chugged a Gatorade on the way home and was ready for a healthy lunch. 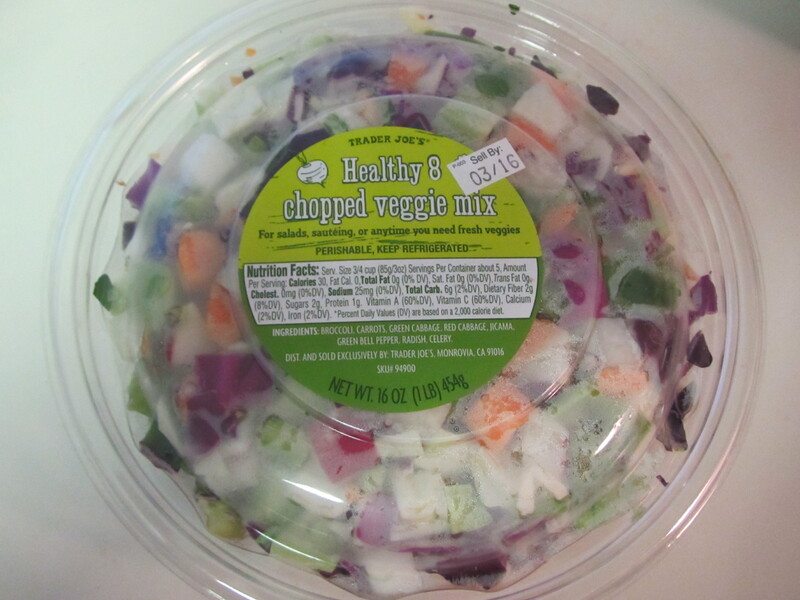 Someone at work told me about this salad. 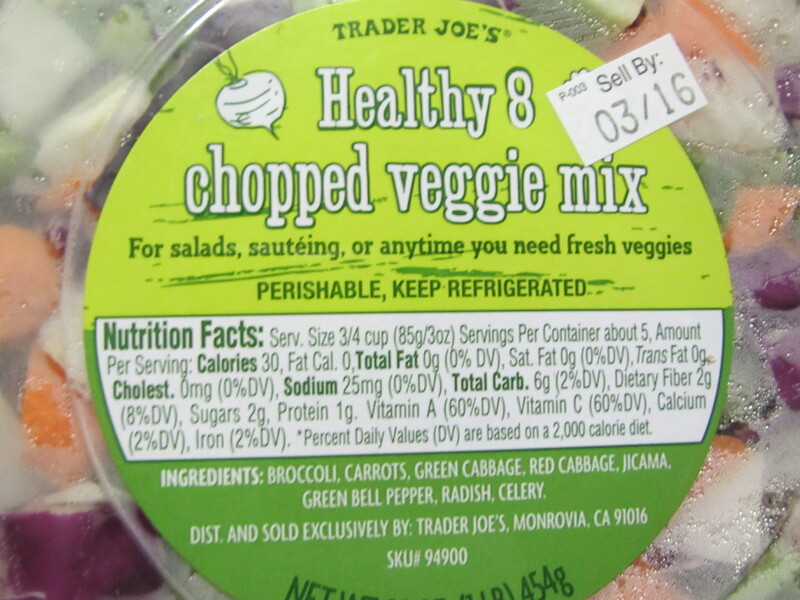 To be honest, I was kind of skeptical, but the next time I was at Trader Joe’s, I accidentally found it near the lettuce. It is my new favorite lunch, so I thought I would share it with you. 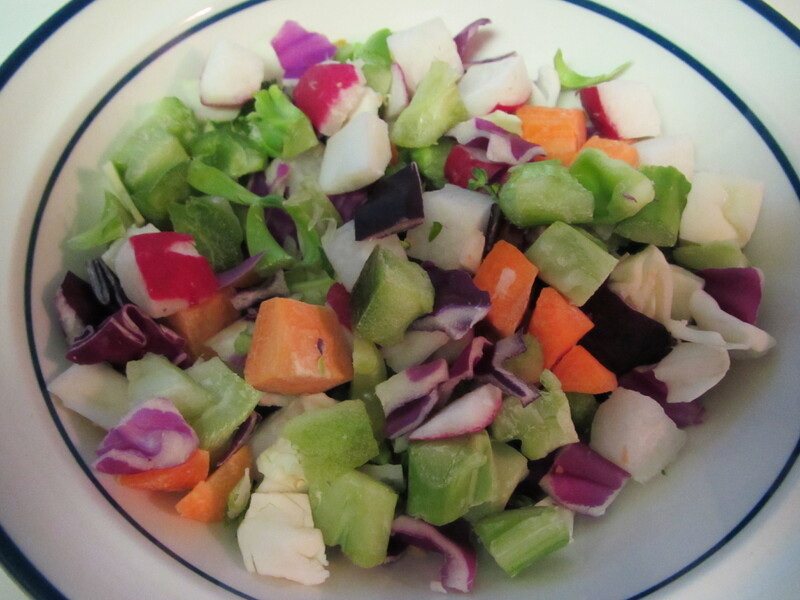 The salad is made up of 8 raw veggies that are super crisp and crunchy. I have eaten it with lettuce and without. I like to add feta and use a balsamic or olive oil based dressing. I hear it tastes great with the TJ’s Goddess dressing as well, and I have also heard that you can make it into a stir fry, but I haven’t tried that yet. I usually get 3-4 servings out of one container. Today I piled mine on top of lettuce with feta and dried cranberries. So yummy! 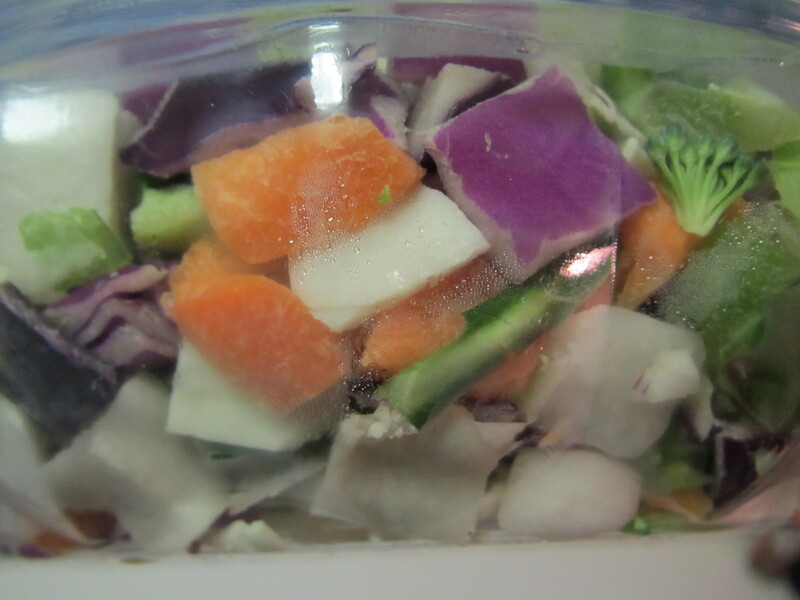 Let me know if you have any creative ideas for my colorful container of chopped goodness!